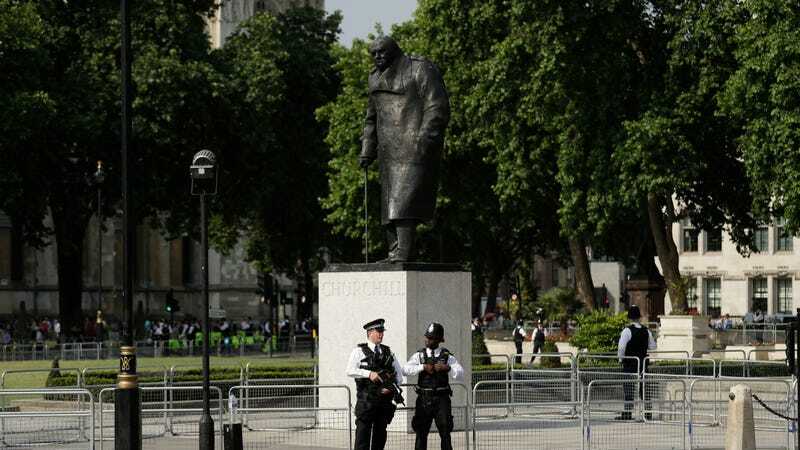 Churchill in Parliament Square. Photo via AP Images. Millicent Fawcett, an important figure in the UK fight for women’s suffrage, will be honored with a statue in London’s Parliament Square, which is one of those public spaces chock full of statues honoring important leaders—Mahatma Gandhi, Winston Churchill, Nelson Mandela—every one of whom, until now, has been a man. The statue is the culmination of a long campaign launched by activist Caroline Criado-Perez, who collected tens of thousands of signatures on a Change.org petition and published an open letter to Khan signed by Emma Watson and J.K. Rowling. The hope is to have the statute ready for unveiling in time to mark the hundredth anniversary of the law that extended the vote to women in the UK.